2016 U.S. Clean Tech Leadership Index - Maine Ranks 19th of 50 States. 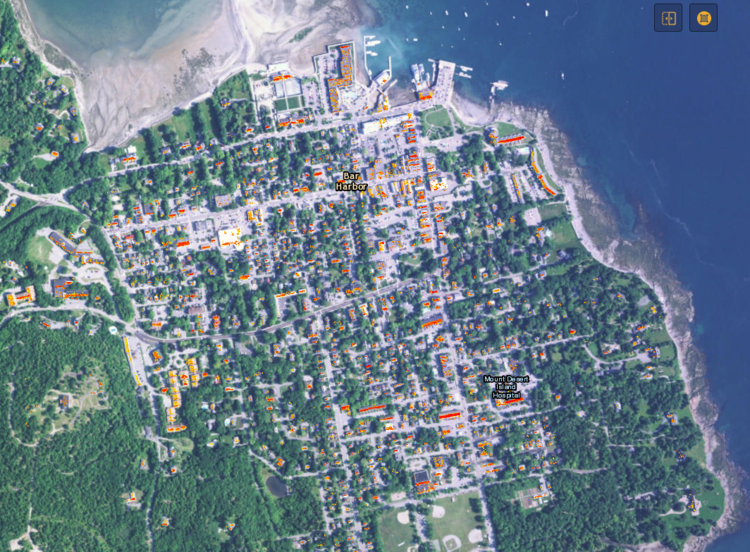 This web application was created by College of the Atlantic student Wade Lyman in 2010 using ESRI software at the COA GIS Laboratory. The data in the map were attained using simulations of annual solar incidence, including the effects of intermittent shading from adjacent topography, structures and trees throughout the year. This allowed for relatively precise, high resolution estimations of solar technology performance on every roof.